Spectacular, 3 story Dutch Colonial!! Fully restored for today's living! Own a slice of Marinette history! 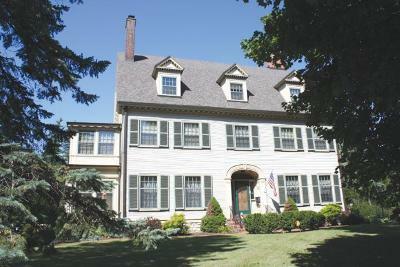 9+ bedrooms, 8 baths, Updated kitchen with huge pantry, main floor laundry, Gorgeous woodwork, stairway, 5 fireplaces. 4+ car Carriage house/garage, and beautifully landscaped, almost 1 acre yard with brick patio. This breathtaking, one of a kind home, could be yours, Call Today! !